HELENA -- The Montana House of Representatives on Monday advanced legislation known as the “Save Colstrip” bill, which would incentivize NorthWestern Energy to buy more shares of Colstrip’s coal-fired power plant. Senate Bill 331 passed an initial vote in the House on a 62-38 vote. It has been amended several times, including when a House committee restored oversight from the Public Service Commission in the deal. Republican Rep. Daniel Zolnikov of Billings, who chairs the committee, said this change was a top priority. “That was the number one concern I’ve heard about for a month or two, so we took care of that,” Zolnikov said. Rep. Daniel Zolnikov (R) - Billings, is carrying Senate Bill 331 as it moves through the House. He said after an amendment restored oversight to the Public Service Commission, the bill became more palatable for lawmakers. The House also removed language that would have allowed NorthWestern to pass $75 million worth of decommissioning and remediation costs onto ratepayers. Most Democrats opposed the bill. Rep. Chris Pope, D-Bozeman, says the Senate, which would get another vote on the amended bill if it passes the House, could overturn the amendments and the policy left would be bad for consumers. “It removes the essential protections to the over 300,000 captive customer,” Pope said. Multiple news outlets reported that lawmakers made a deal to trade votes on SB 331 for votes for the bill that continues Medicaid expansion. That bill also passed an initial vote Monday in the Senate. Some Republicans had withheld support last week for the government-subsidized healthcare program, which covers about 96,000 Montanans. SB 331 needs another House vote before it can return to the Senate. The controversial proposal for Montana to give NorthWestern Energy incentive to buy a bigger share of the coal-fired power plant in Colstrip got its first hearing in the state House Monday. Senate Bill 331 is seen by some as a deregulation bill to benefit of the state’s largest monopoly utility company. Others see it as a proposal to save Colstrip while providing reliable power that will keep Montanans' heaters running even in the coldest of cold snaps. NorthWestern Energy is asking Montana lawmakers to back a bill that would allow them to bypass some oversight by state regulators. 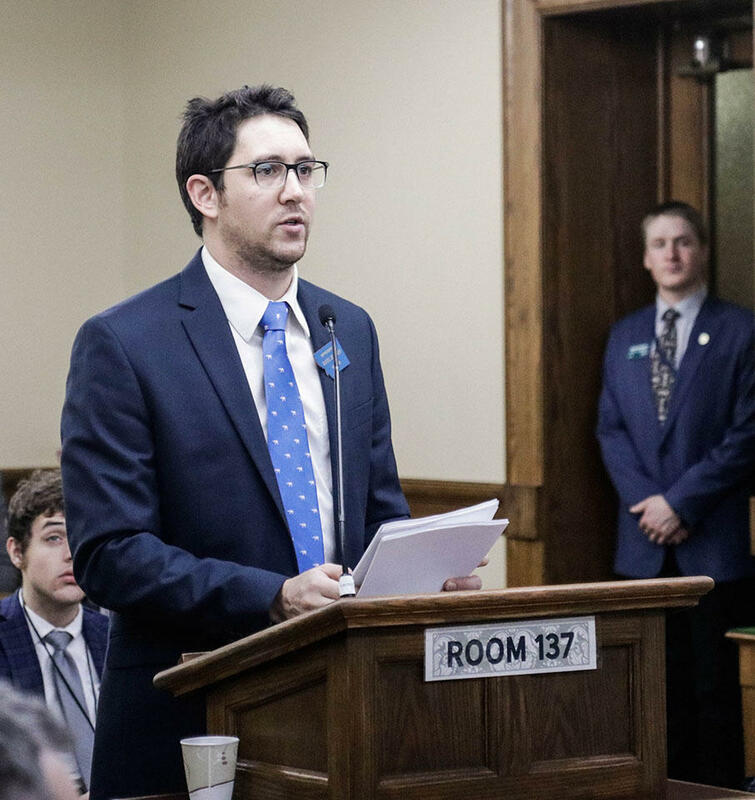 The so-called Montana Energy Security Act of 2019 passed out of the Senate late last week.